The very first thing that we want to compare between these two digital cameras is certainly the image quality. 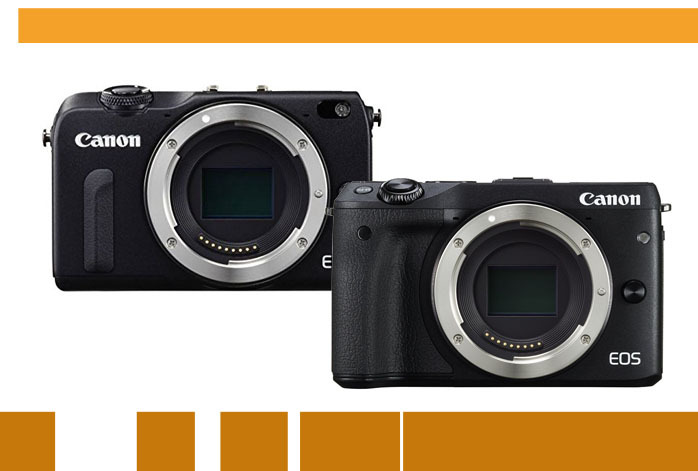 In many ways, Canon EOS M2 may seem similar to Canon EOS M3, but, in fact, Canon EOS M3 can deliver images with better quality than Canon EOS M2. Why? More powerful image sensor. While Canon EOS M2 is armed with an 18-MP APS-C image sensor, Canon EOS M3 boasts 24.2-MP APS-C CMOS with DIGIC 6 processor. As the result, Canon EOS M3 generates much sharper and more detailed pictures, even under a difficult lighting condition. In addition, both models also record videos in Full HD 1920 x 1080 resolution at 30fps rate. Both models come with live autofocus, but only Canon EOS M3 that has built-in video stabilization. Canon EOS M3 saves videos in MP4 while Canon EOS M2 saves in MOV. Both models support continuous shooting, but, quite interestingly, Canon EOS M2 has a slightly faster speed than Canon EOS M3. The cheaper model is able to provide 4.6 frames per second, while the pricier model is limited to 4.2 frames per second. The difference is somewhat marginal, however, and none of them is precisely fast. Both models come with the same maximum shutter speed of 1/4000s. Both models also have the same ISO features, with an ISO latitude of 100 – 25600. Yet, Canon EOS M3 brings more autofocus points (49) than Canon EOS M2 (31), so you can capture more details in your pictures. Also worth a note, Canon EOS M3 now comes with the NFC technology for effortless file sharing across devices. Perhaps the most noticeable improvement on Canon EOS M3 is the display screen. Canon EOS M2 still relies on buttons for control, but Canon EOS M3 has a touchscreen. Not only that, the touchscreen is tiltable! With an articulating display screen, you can have more flexible shooting positions, as you can shoot from difficult angles while still able to see exactly what the camera is aiming to. As the conclusion, Canon EOS M3 indeed brings upgrades from Canon EOS M2. The slightly lower continuous shooting speed is most probably neglectable, as you will not use the feature too often (you need a faster camera for snapping fast-paced sports and actions!). On the other hand, Canon EOS M3 has a more powerful sensor that can deliver sharper images. Therefore, you should choose Canon EOS M3!